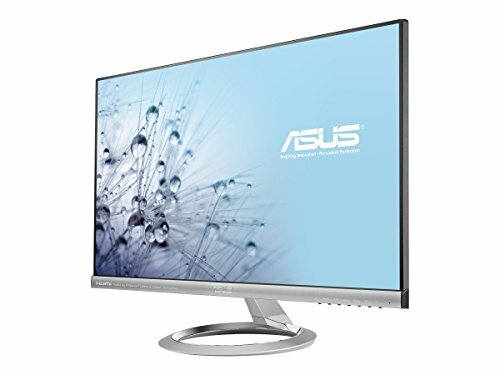 Have you ever wanted to use a monitor without a huge plastic frame? Gone are the days when we indiscriminately had to go for a chubby and expensive monitor. The explosive developments in monitor technology have opened an entirely new world in front of us with heaps of alternatives. 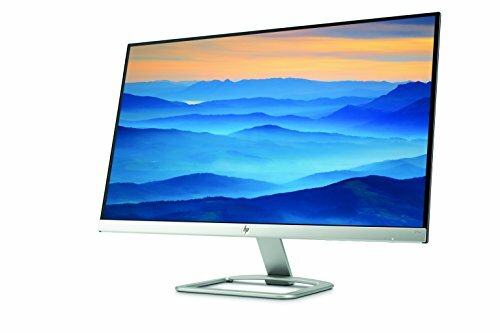 Most of the major manufacturers now produce no bezel or frameless monitors. 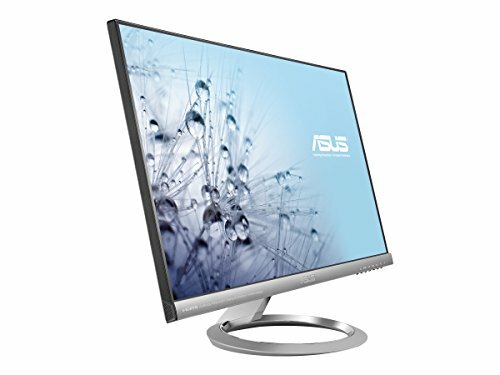 Given that there are so many options to choose from, how would one go buying the best thin bezel monitor? 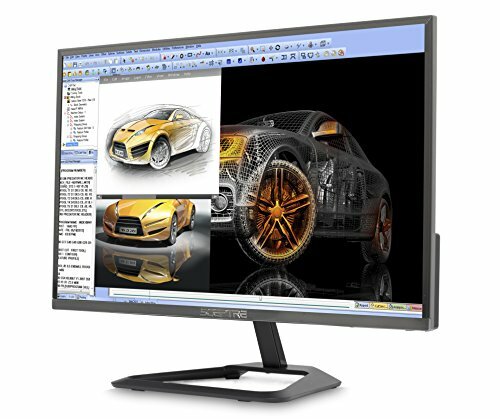 Well, for a start, you can have a look at my short list of the best no bezel monitors below. 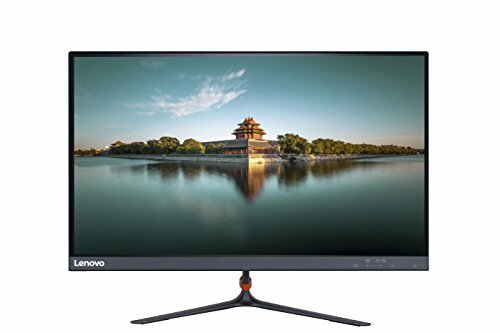 What is a no bezel / frameless monitor? Whether it is for their smartphone or bigger and external monitors, the concept of thin bezels has been all the rage the last few years. 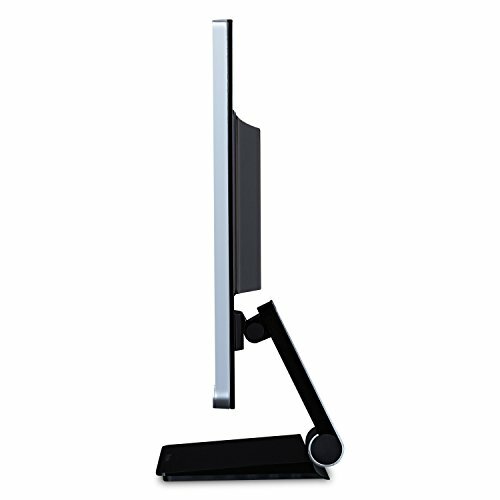 As the name advocates, thin bezel monitors are designed with the specific notion of eliminating huge plastic frame around the display panel. Yes, we do agree that the expression “Bezel-Less” might sound a bit exaggerative! Instead, the term “Thin Bezel” is more appropriate here. 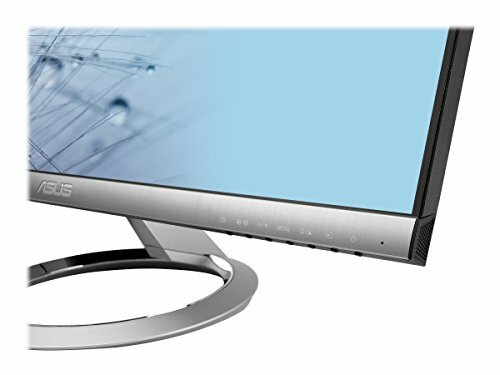 The thing is, while putting next to each other, these thin bezel monitors give the illusion of a single-frame bezel-less arrangement. 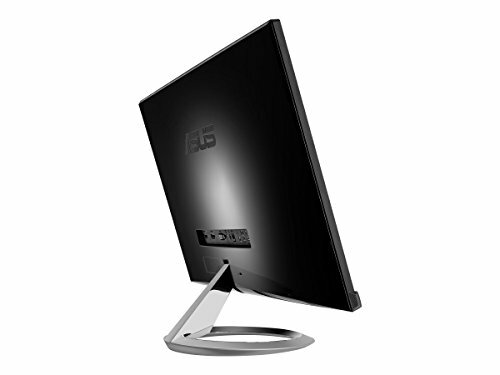 At this moment, a complete bezel less monitor is somewhat unfeasible with the existing methods and apparatuses. 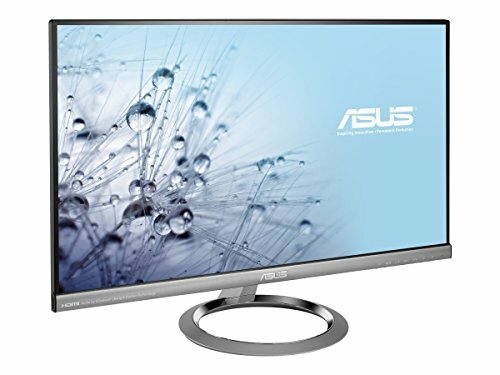 First thing first, the very aura of thin bezel monitors distinguishes them as of other alternatives. 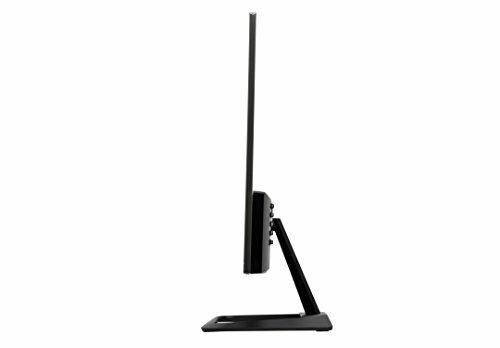 Thin Bezel Monitors offer a larger viewing area. The scenario is particularly true for the setup of dual or triple monitor arrangements. Regardless of the usage, more screen space within the same housing is always a welcoming thought. 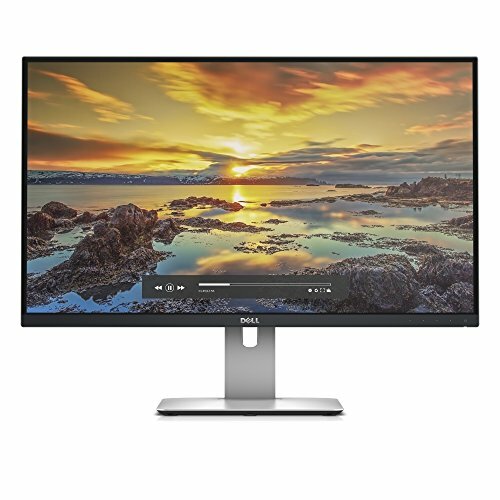 27-inch screen, edge-to-edge ultra-wide viewing angle, incredibly thin and sleek design, and a Full HD 1920 x 1080 resolution – what’s more can you expect from a monitor with such enticing asking price? 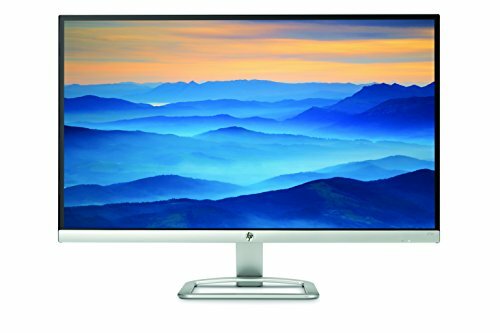 That’s right, this time around, HP 27 inch monitor came up with a deal that is pretty hard to refuse! At the outset, you would be blown away with its ultra-thin bezel design that will maximize your viewing area. 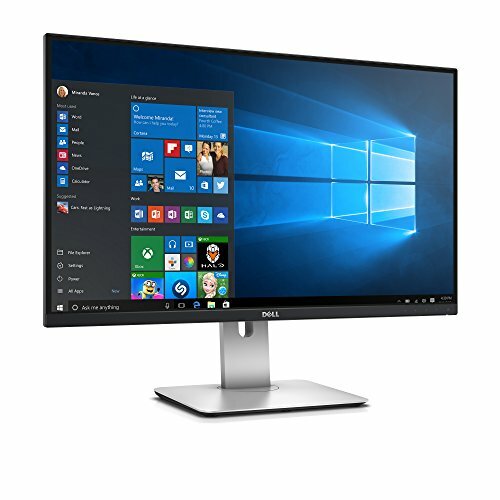 The Full HD 1920 x 1080 resolution in juxtaposition with IPS panel will let you enjoy a sharp and detailed view from almost any angle. The 5,000,000:1 dynamic contrast ratio is perfect for amazing clarity and accurate color output. For a more versatile viewing, you can tilt the monitor from -5 degrees forward to +25 degrees backward effortlessly. 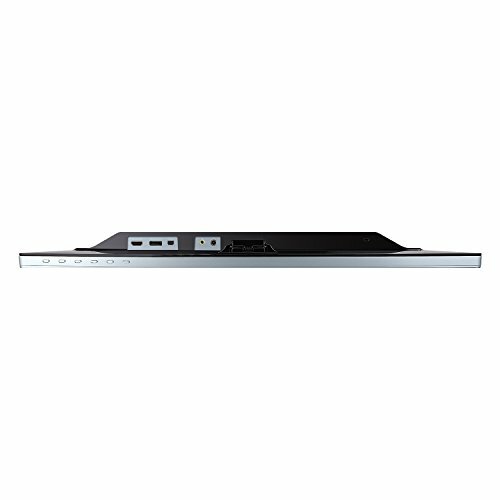 As for connectivity, it is equipped with a single VGA port and 2 HDMI ports. It also comes with the usual LED Backlighting, Energy Star Certification, and Technicolor Color Certification. 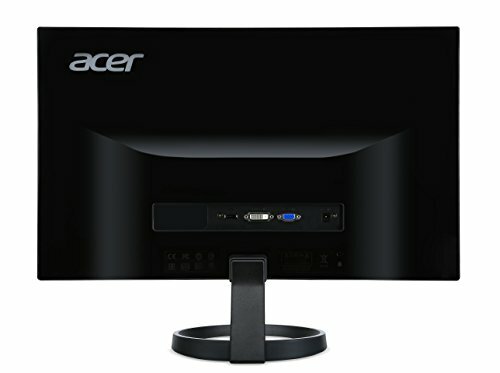 To answer the competition, Acer turned up with a pretty unique design for their frame less monitors – termed as ‘Zero Frame Design’. This design is aimed to experience visuals without boundaries, particularly when adding 2 or more monitors next to each other. 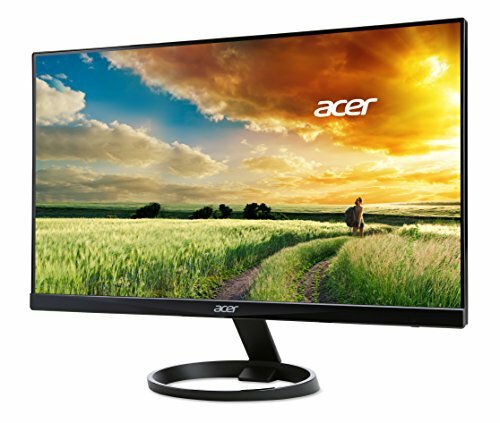 The Acer 23.8 inches Full HD 1920 x 1080 LCD display with IPS technology is a perfect solution for productivity and multimedia applications. 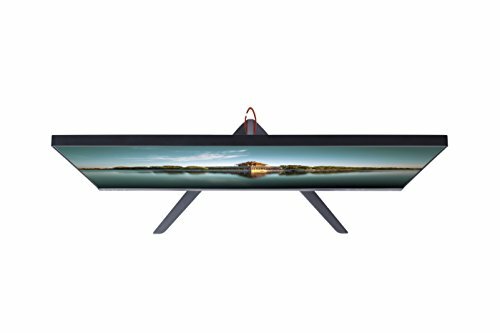 You can enjoy stunning color from almost any viewing angle. 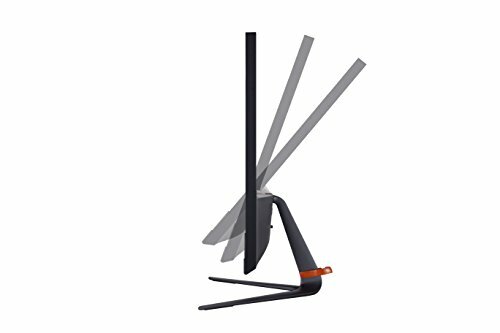 For the best possible view, the display stand comes with an ergonomic tilt from -5° to 15°. 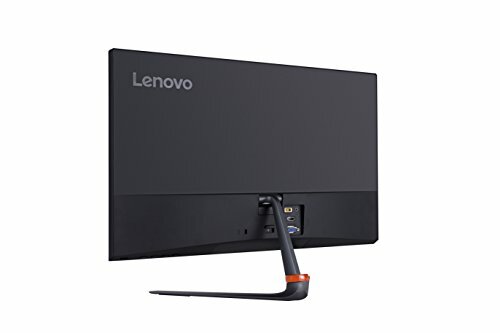 It comes with a VGA port, a DVI port with HDCP, and a HDMI port for superior connectivity. 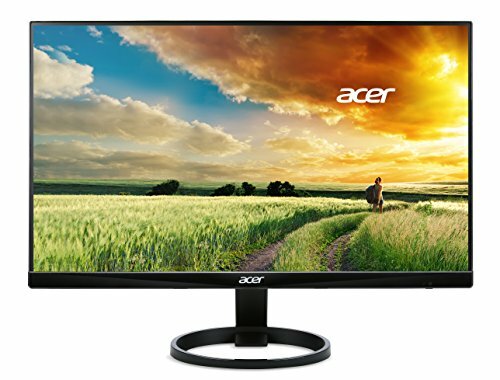 In addition to its exceptional Zero Frame Design with brushed hairline finish, this monitor comes with Acer’s patented Flicker-less technology. On top of eliminating the annoying screen flickering, it can shield your eyes from straining with its blue light technology. 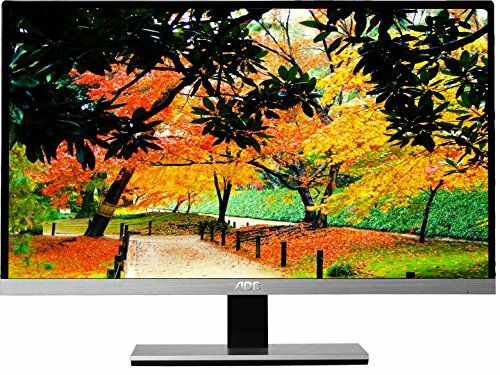 This monitor also features Acer EcoDisplay, and Energy Star Certification. Does not tilt up or down. 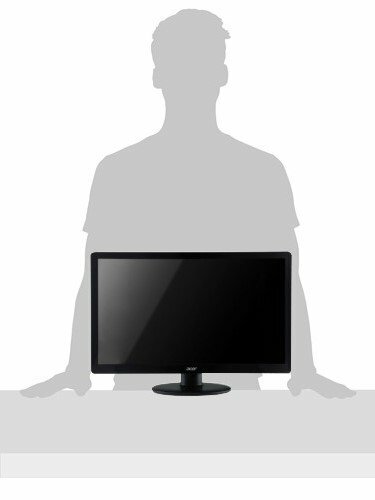 Content creators and gamers often complain about monitor’s color accuracy and precise details. 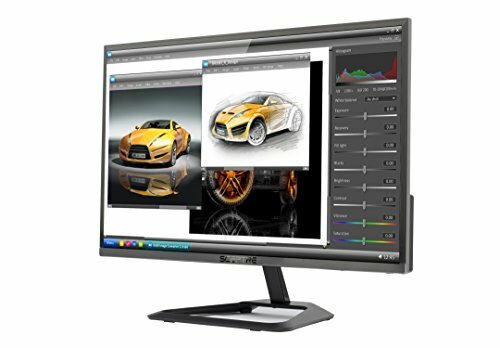 However, with Dell UltraSharp U2715H, professionals can let their work come to life in precise color details. 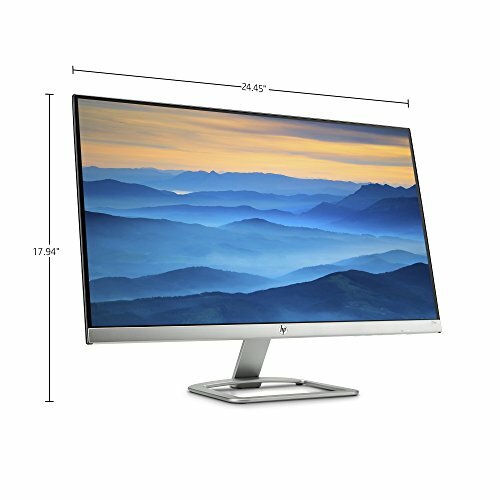 The ultra-wide viewing angle of this 27-inch frame less monitor comes with 99% sRGB settings out of the box. The QHD 2560 x 1440 resolution will let you enjoy a sharp and outstanding precision on the 27-inch canvas. 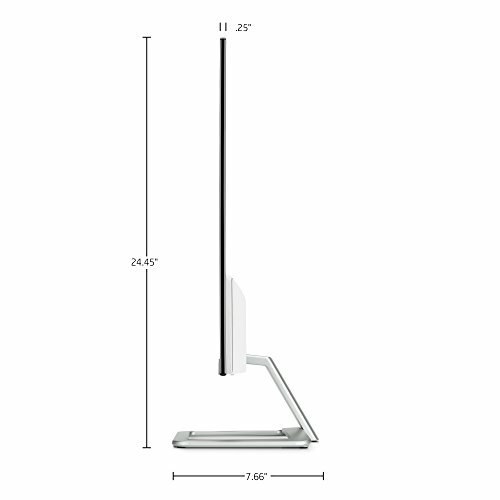 In addition, it is perfectly in proportion to the ultra-wide 178-degree viewing angle. 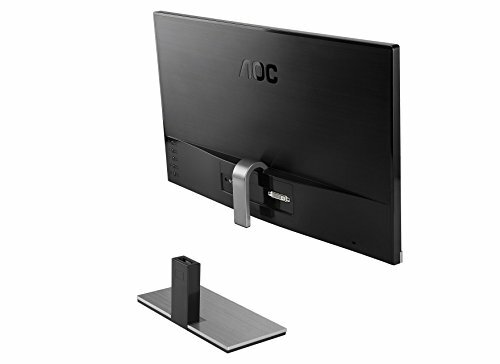 You can pivot the monitor 90° clockwise or counter-clockwise for a multi-monitor setup. 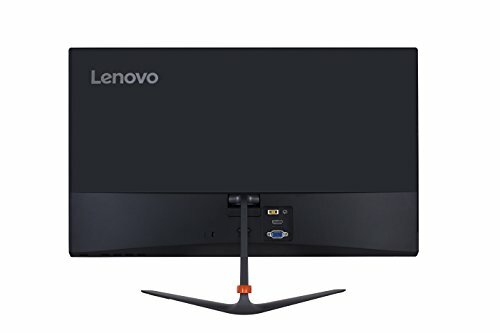 What’s more this particular monitor is VESA-compatible. 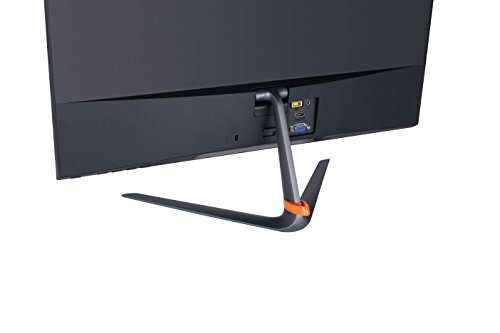 Therefore, you can wall mount it with monitor arms. 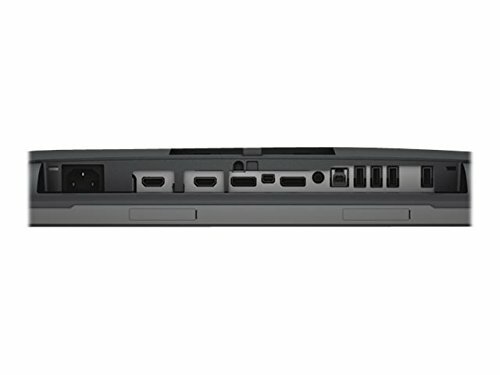 For connectivity, it comes with 2 HDMI ports, a Display Port, a Mini Display Port, and a USB 3.0 port. You can even charge devices via the USB 3.0 port. This professional monitor is ENERGY STAR Qualified, EPEAT Gold5 Rated, and is made with arsenic-free glass and mercury-free LED panel. Arsenic-free glass and mercury-free led panel. A handful of monitors ascended to this world with the idea to rule! 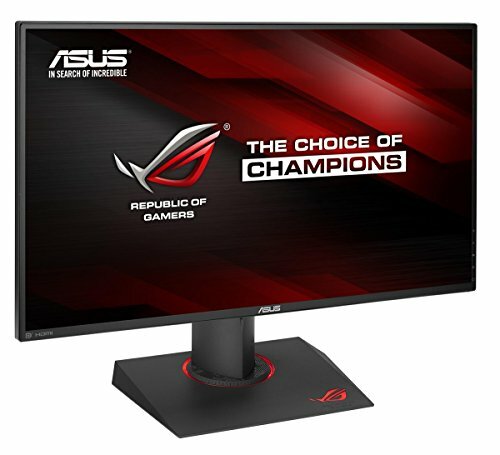 ASUS ROG SWIFT PG279Q is such a monitor that expressly made for high-end productivity. 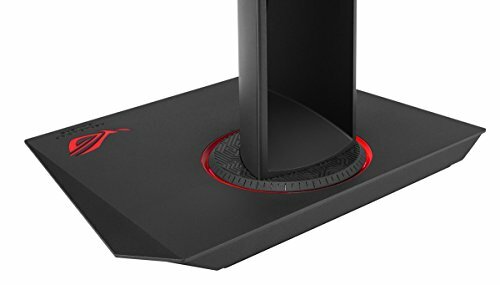 Besides, we all know the forte of the Republic of Gamers (ROG) lineup in the case of gaming. 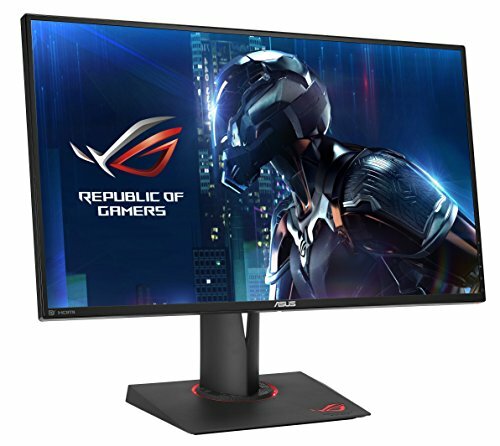 This monitor can be hailed as one of the kings of gaming monitors with a long list of features. 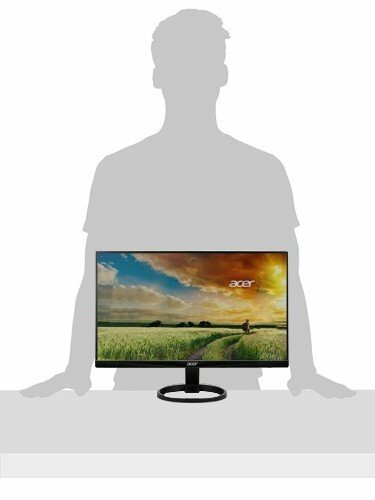 To begin with, the WQHD (2560 x 1440) Resolution and the 27-inch display with a thin bezel can give you the best balance for gaming. It features an IPS panel with 178-degree viewing angle and 100% sRBG color gamut. 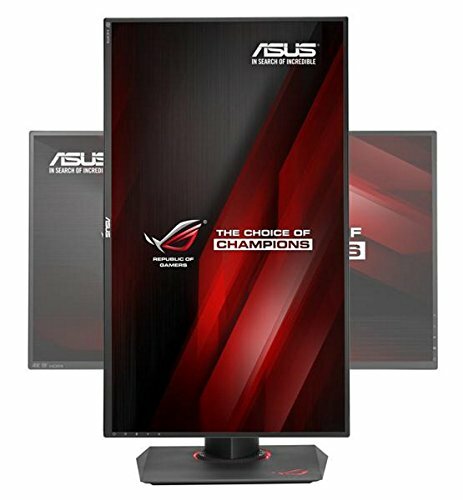 In addition, this monitor set the new bar in flawless visuals with its humongous 165 Hz Refresh Rate. G-Sync will help you in synchronizing the monitor with NVIDIA GPUs, resulting in minimizing display stutter and eliminating screen tearing. It comes with 2 USB 3.0 Ports, a Display Port, and a HDMI Port. 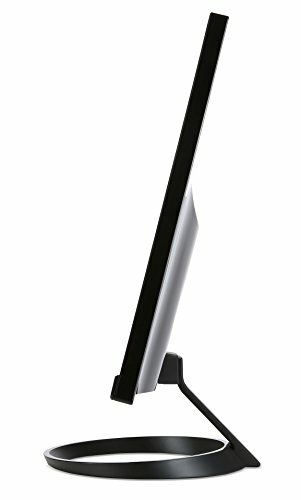 The monitor stand is ergonomically designed with tilt, swivel, pivot, and height adjustments. 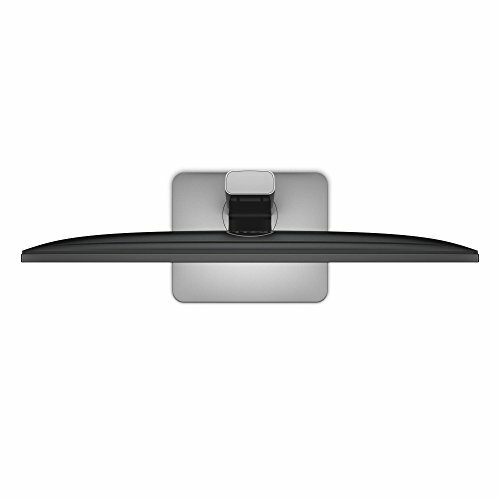 You can also VESA wall-mount it or arm-mount it easily. Finally, Low Blue Light, Flicker-Free, GamePlus, and GameVisual technologies can offer a comfortable gaming experience. 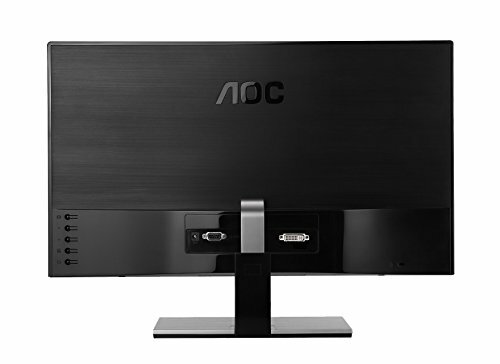 If you are on the lookout for a quality monitor on a budget, then very few can compete with the AOC I2267FW. 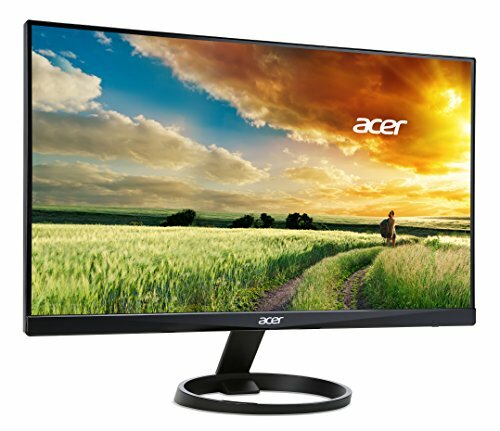 AOC predominantly designed this monitor with 2mm ultra-narrow bezel for a seemingly borderless appearance. 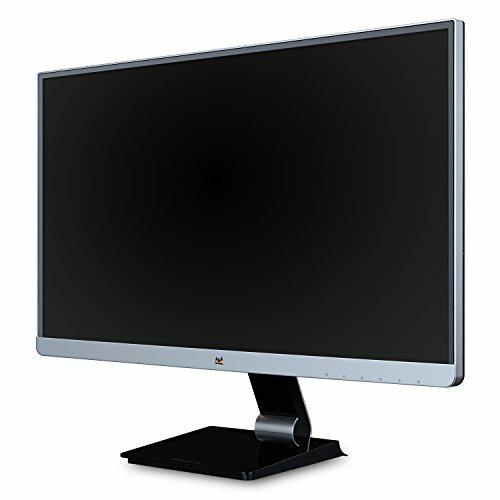 It features a 21.5-inch viewable screen with a Full HD 1920 x 1080 resolution. 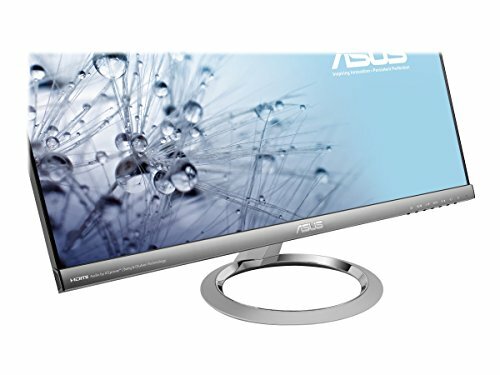 Boating a 50,000,000:1 dynamic contrast ratio and a response time of 5ms, this monitor is outfitted with an ultra-thin IPS panel for consistent image appearance from all viewing positions. The non-reflective, matte, and anti-glare coating of the display won’t leave any smudges or fingerprints on the screen. 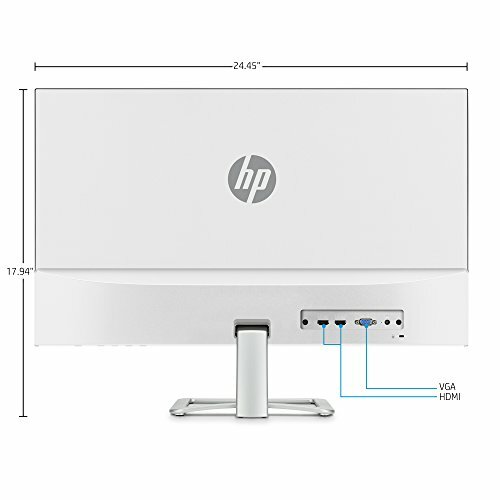 When it comes to connectivity, this monitor comes with a VGA and DVI-D port to connect your devices. 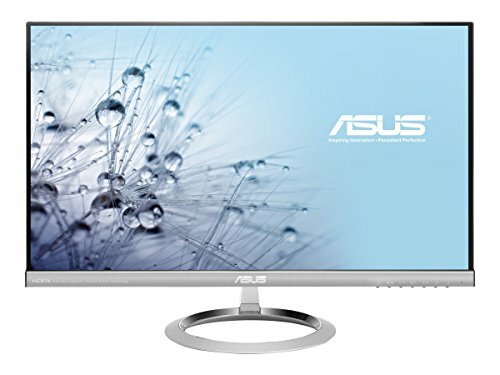 The conventional 60 Hz Refresh Rate is reasonable for a monitor of this price range. It is both Energy Star and EPEAT Silver Certified for its packaging and production. It comes with OSD menu, Power Saving Mode, and Off Timer. Lenovo is a Chinese cooperation and a veteran in the monitor sphere. Its displays are considered to be innovative and long lasting. 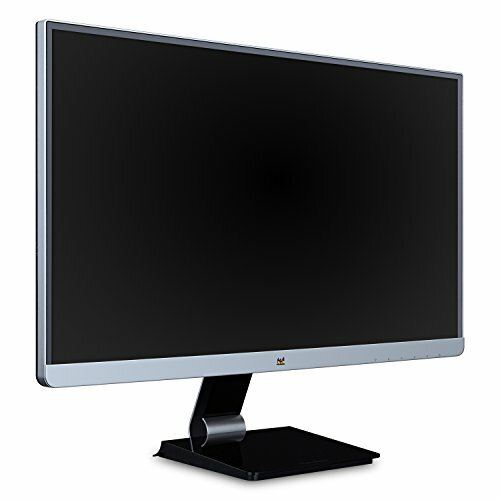 The 23 inch FHD LED thin bezel monitor is one of the latest models released by the company in the past twelve months. It comes with the standard 1080p resolution and 75 Hz refresh rate. 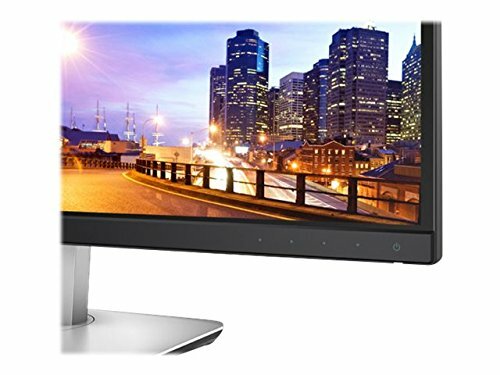 It is a widescreen 16:9 monitor, with a quick response time to ensure a smooth visual experience without any ghosting or distortion of picture. It supports video sources from both HDMI and VGA inputs, which makes it a great option for any modern setup (albeit a USB port would have been highly appreciated!). The frame of the monitor is super light in weight and its thin profile lets it stand out an elegant masterpiece on your table. 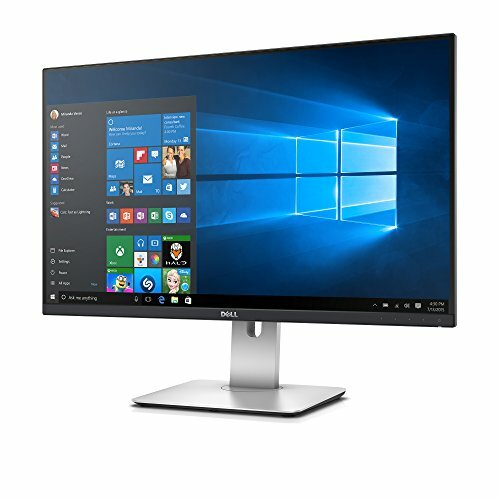 The monitor has a 178 degree viewing angle and an antiglare layer on top, which means that you can enjoy high quality and vibrant pictures from anywhere in your office / room, without struggling for maintaining specific angles. 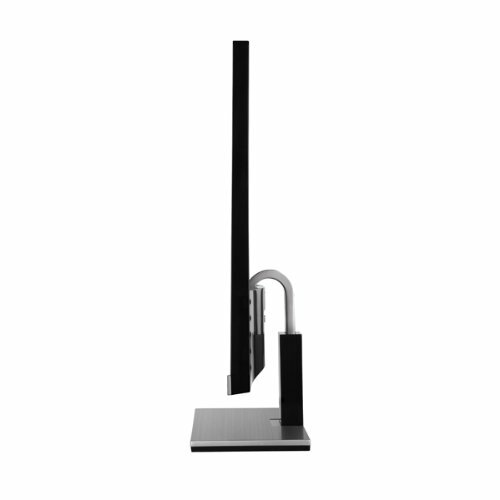 The monitor is Energy Star certified and is compatible with Kensington lock for security. 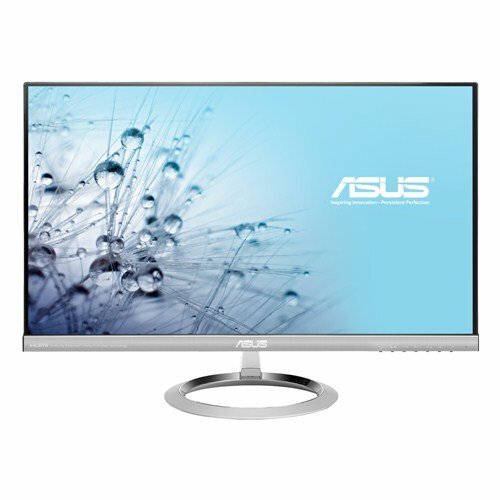 With a one year warranty to back it up, you can get this monitor with full confidence. Sceptre may not be a brand that is super popular, especially when compared to the likes of HP, Dell, Asus and company. However, do not let this fact stop you from buying one of the brand’s brilliant product this year: The E225W. 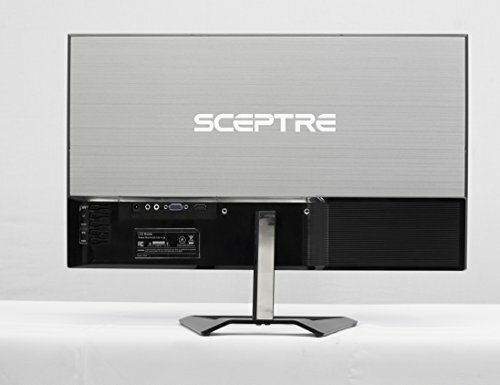 Moreover, you have nothing to worry about as Sceptre is an internationally certified manufacturer of LCD and LED, meaning that all of its products are up to standard or better. The Sceptre E225W is pretty easy to distinguish from the rest due to its signature metallic frame, with a brushed outlook. 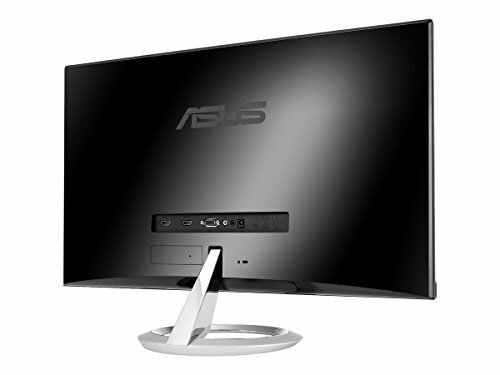 The monitor has a tiny bezel and gives out a modernistic look. Aesthetics aside, it also comes with a 1080p and 5 ms response time, which means that you can enjoy the latest games and HD videos in highest quality, without worrying about lag or ghosting. The colors on the screen are quite vivid, all due to the high quality LED backlight and 5000000:1 contrast ratio used by the manufacturer. 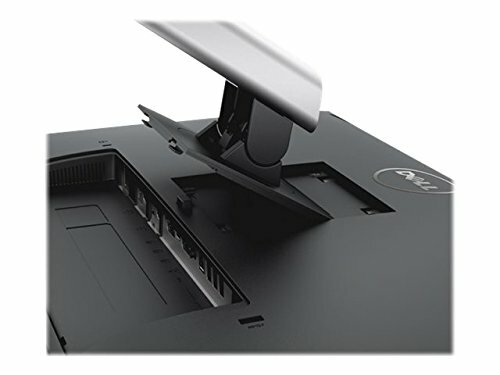 The monitor comes with support for both HDMI and VGA inputs, however, do not expect any other ports with it. 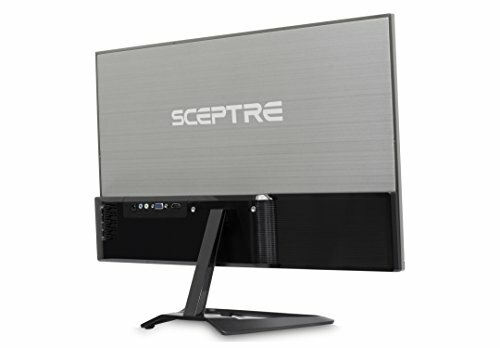 Sceptre offers a 1 year warranty with all of its monitors and gives a direct support to its customers round the clock. 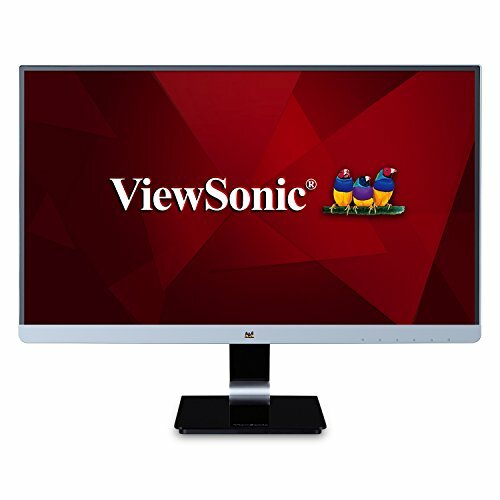 We all know that ViewSonic is an authority in the monitor market. Every year, the company comes up with a range of stellar products to cater to the different requirements of their customers. 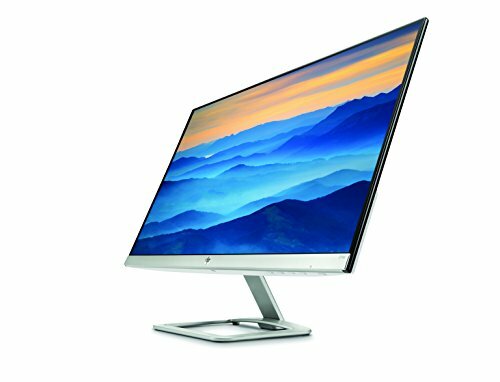 With the demand for thin bezels increasing, it is no surprise to see that the American giant has released a top notch minimalistic monitor. 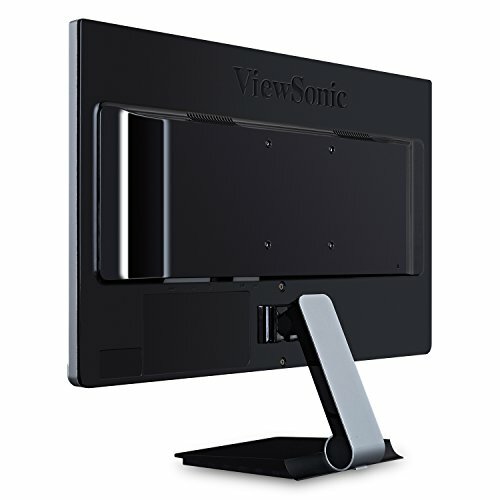 The ViewSonic VX2478-SMHD is an IPS frameless LED monitor. 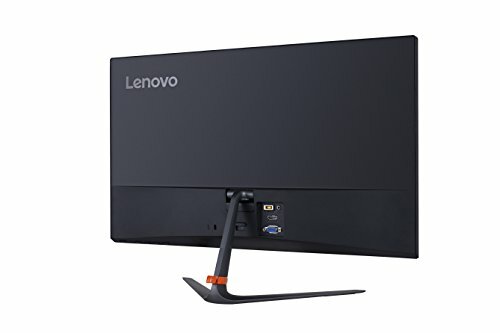 While frameless is a marketing term used by the manufacturer, the fact is that this monitor has one of the thinnest bezel size its size range, owing to the revolutionary edge-to-edge bezel technology from ViewSonic. 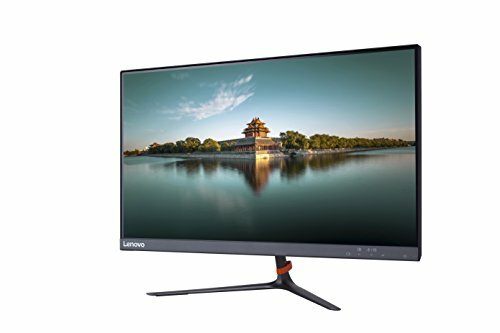 The IPS panel technology is a standard in most modern monitors, but with the patented ViewSonic IPS technology and the 2560 x 1440 resolution, the monitor will let you enjoy crisp / sharp image quality when doing office work or watching some movie. Moreover, you will not be seeing any blurring or tearing while viewing the screen, even when watching high resolution videos. 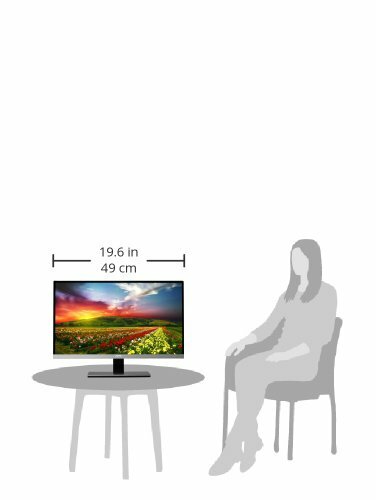 The 80 million: 1 contrast ratio will show you the blackest of blacks and whitest of whites, while the 178 degree viewing angle will let you view the screen without resorting to maintaining specific positions. 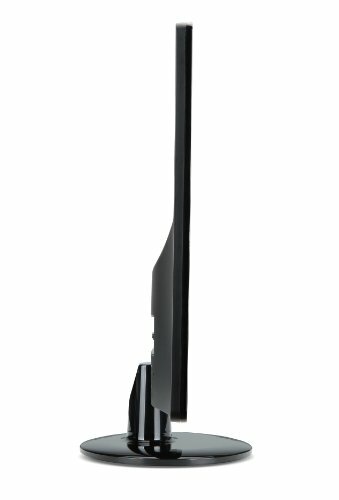 The monitor comes with built in speakers which will let you experience stereo sound, without requiring any external devices. 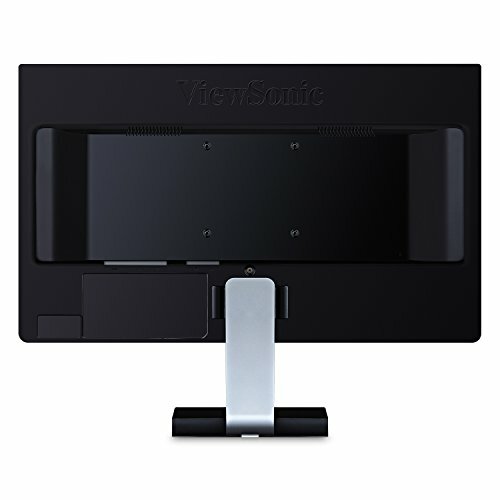 There is support for HDMI, display port and mini display port, making the monitor compatible with all modern devices. 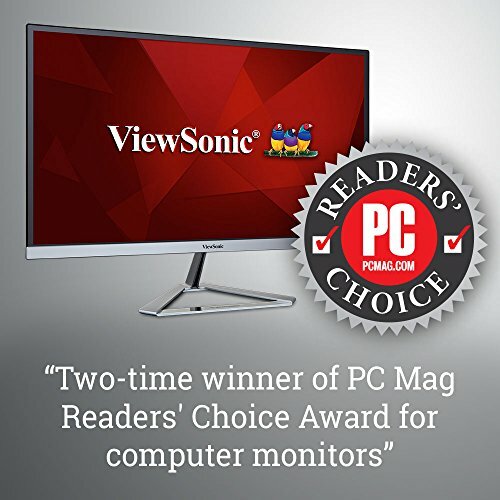 ViewSonic warrants all its monitors for 3 years and the VX2478-SMHD is no exception. 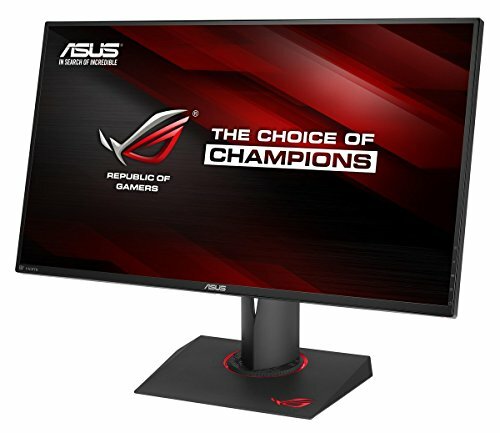 Asus is one of the most popular monitor makes around and it is no surprise that another of its product has found the way to this list. 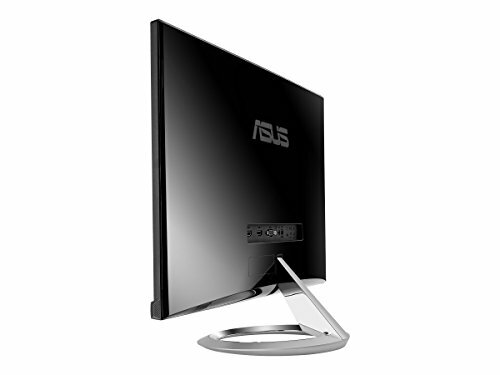 The MX259H is a 25 inch monitor built by Asus to serve its high end customer base. 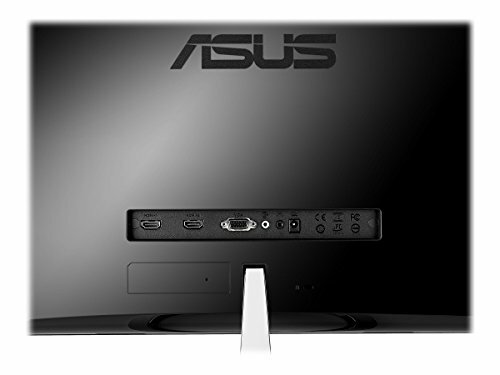 The monitor may be considered as a cousin to its Asus’s larger MX279H, but it comes with all the features found in the latter. 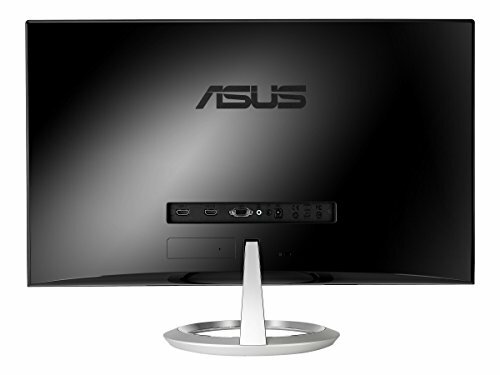 Design wise, the monitor has one of the tiniest bezel I have seen and looks absolutely beautiful. It is a winner of the Good Design Award for this year, which is a testament to its aesthetics. 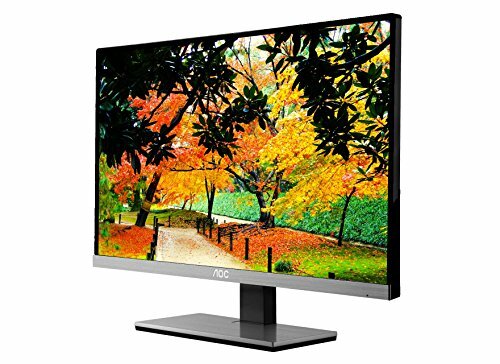 The monitor features an IPS panel and TUV Rheinland-certified flicker-free backlighting to give sharp and vivid pictures, without putting a strain on your eyes. The high contrast ratio enables you to enjoy deep blacks and bright whites, which allows the pictures to look more realistic. 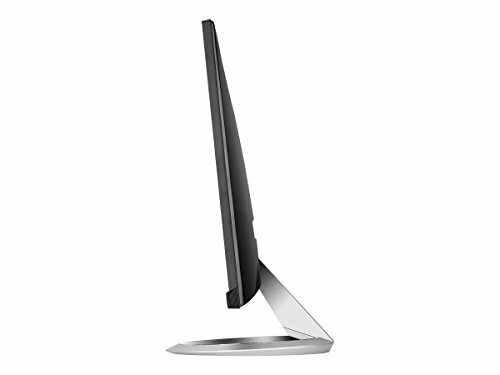 The monitor can be tilted to 25 degrees and is quite ergonomic. 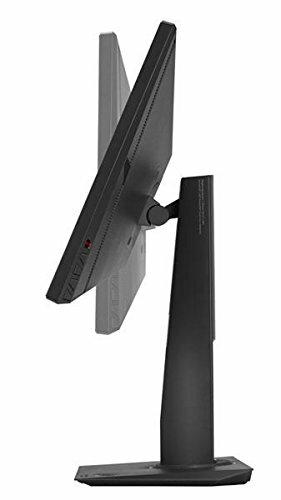 Combined with this and the fact that the monitor supports a 178 / 178 viewing angle, there are no dead angles to spoil your viewing experience. 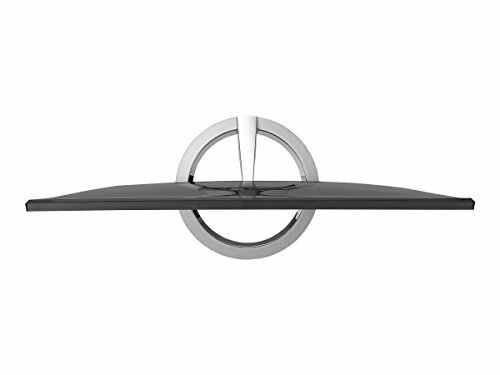 There is also an embedded stereo system developed by Bang & Olufsen, meaning that the monitor can give you the best of both sound and display. 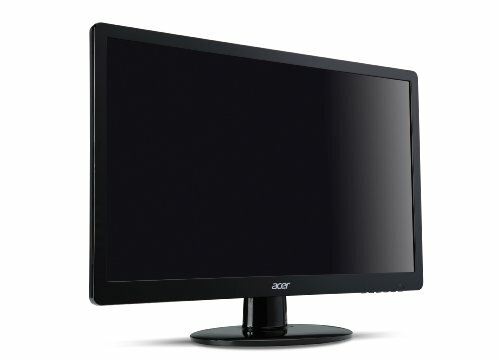 The last monitor on my list is from Acer. 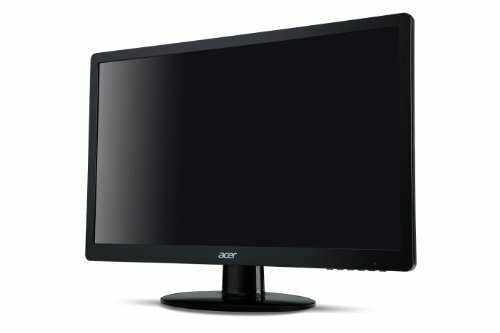 I have already covered an Acer model above and I am sure that the manufacturer needs no introduction. 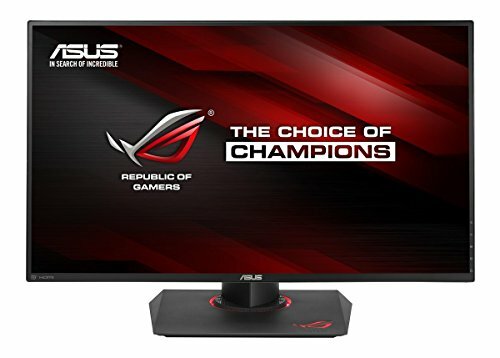 It is one of the biggest monitor makers around! 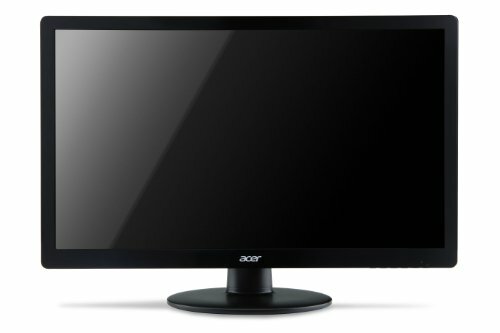 The Acer H226HQL comes with a zero frame design and looks quite stylish. 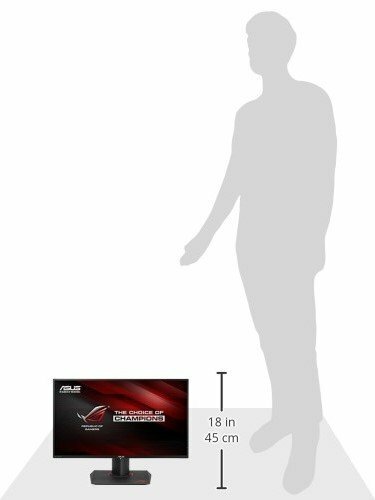 It has a 21.5 inch display and is a widescreen monitor. 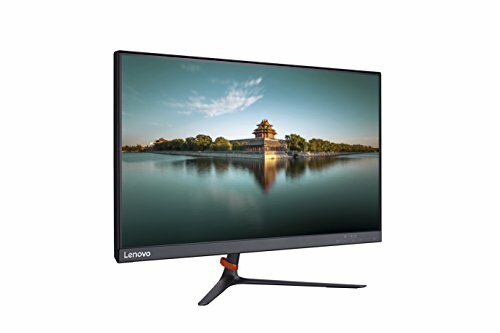 The 100 million: 1 contrast ratio added with White LED technology ensures that you get to see the best picture quality on this monitor, with no drags. 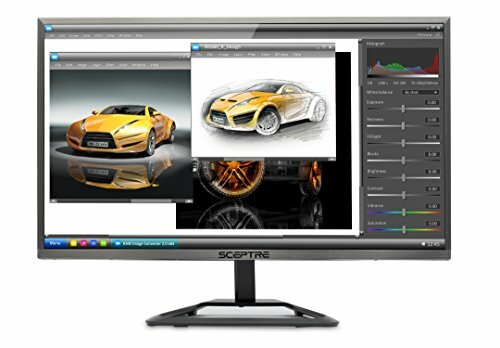 The monitor has an eColor technology, which is unique to Acer and automatically helps to correct the colors in picture and change preset settings. There is support for HDMI, VGA and DVI ports, which is pretty much what most people require. 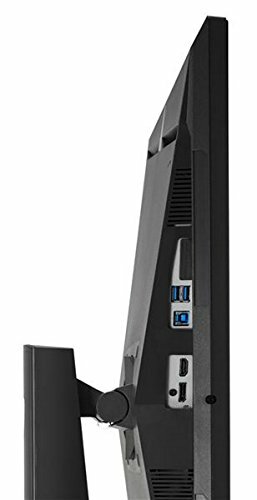 Perhaps the only thing which is lacking in this monitor is a support for VESA mount.